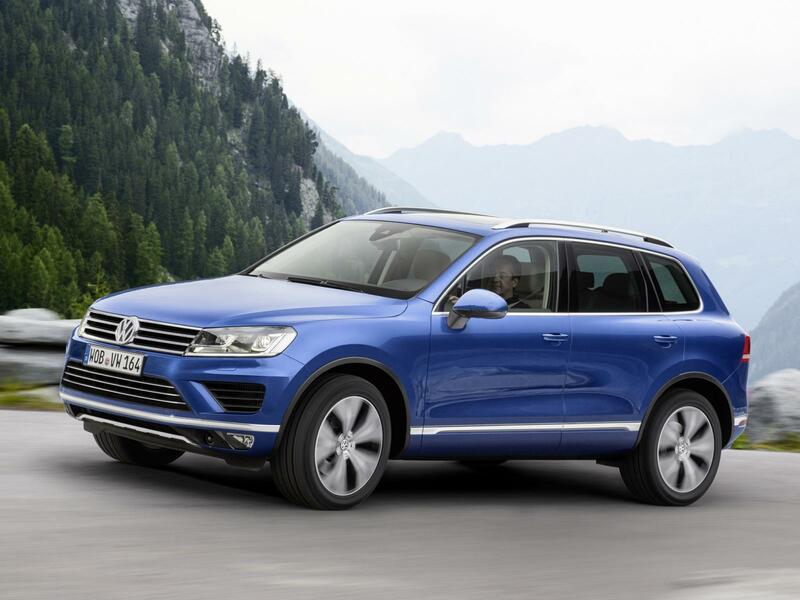 H Volkswagen πρόσθεσε στη γκάμα κινητήρων του ανανεωμένου Touareg έναν νέο diesel κινητήρα. Πρόκειται για τον 3,0-λιτρο V6 TDI απόδοσης 262 ίππων, ο οποίος αντικαθιστά τον 3,0-λιτρο TDI με τα 245 άλογα. Ο νέος κινητήρας καταναλώνει 0,6 λίτρα/100 χλμ λιγότερο καύσιμο (6,6 λίτρα, έναντι 7,2 λίτρων), όταν συνδυάζεται με το 8-τάχυτο αυτόματο κιβώτιο, εκπέμποντας 174 γρ/χλμ CO2. Ο κινητήρας διαθέτει νέο καταλύτη, πληροί τα στάνταρ του Euro 6 και εξοπλίζεται με τεχνολογία coasting που αποσυμπλέκει τον κινητήρα από το κιβώτιο όταν δεν χρειάζεται επιτάχυνση, ώστε να μειωθεί η μέση κατανάλωση. Το μοντέλο θα είναι διαθέσιμο από τον Οκτώβριο. Exterior with new front and rear designs. 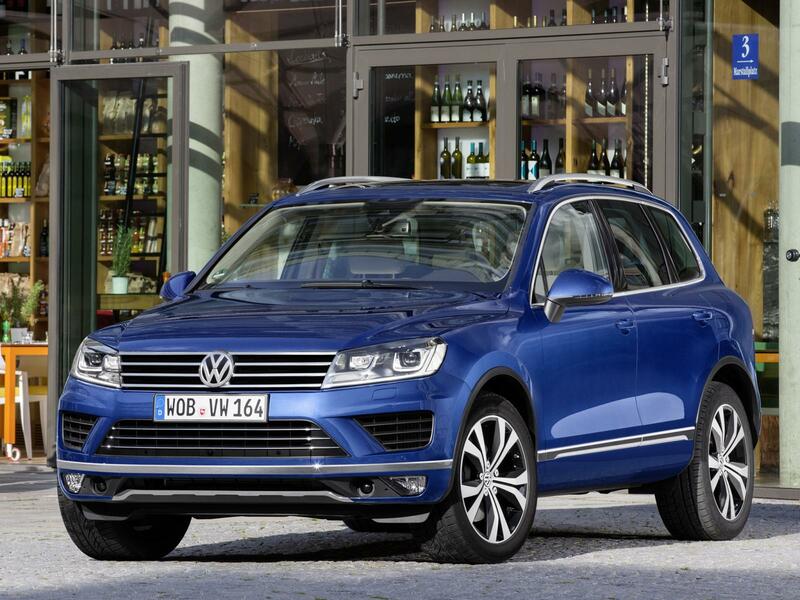 As already mentioned, the latest Touareg is identifiable visually by its redesigned front and rear. 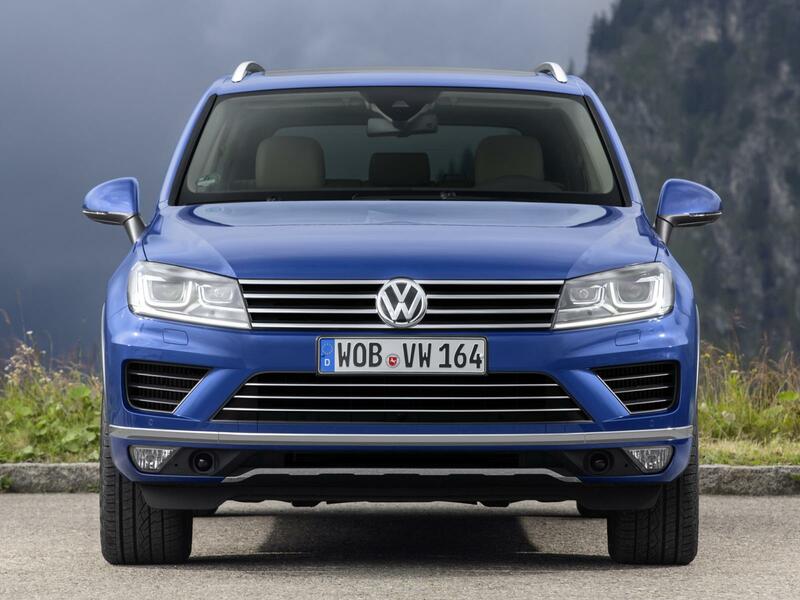 Striking features at the front are the bi-xenon headlights, also redesigned and now standard on all models. At the back new rear lights are used. 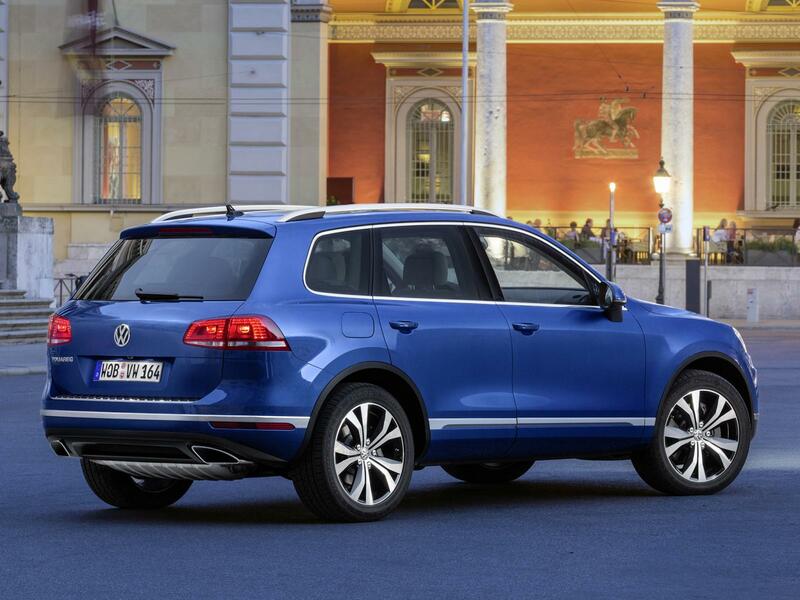 In the ‘Chrome & Style’ version the new Touareg is enhanced by a chrome strip running around the lower part of the vehicle body. The range of colours has been updated (new: ‘Reef Blue Metallic’, ‘Sand Gold Metallic’, ‘Black Oak Brown Metallic’ and ‘Moonlight Blue Pearl Effect’), while the designers have also given a new look to four of the total of 16 styles of alloy wheels available: ‘Arica’ (18-inch), ‘Salvador’ (19-inch from Volkswagen R), ‘Masafi’ (20-inch) and ‘Talladega’ (20-inch from Volkswagen R). Interior with new materials, colours and switches. 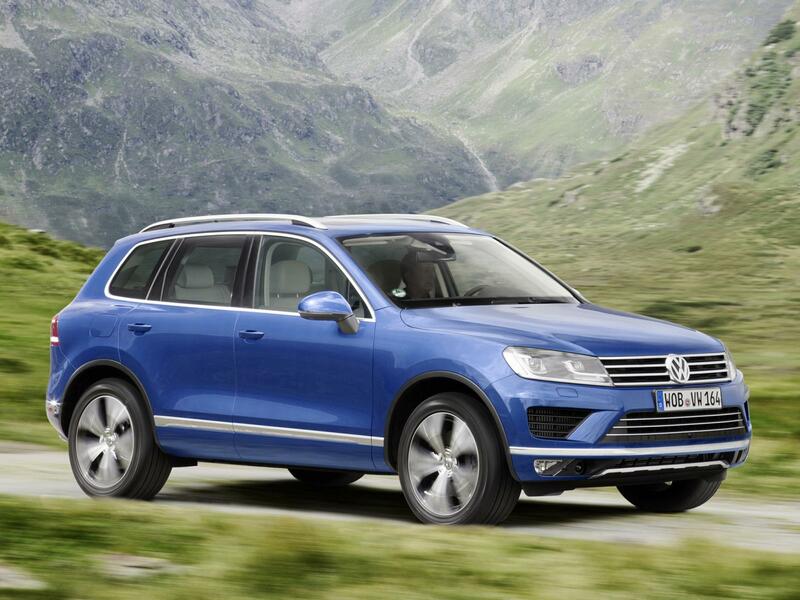 Redesigned interior features include the aluminium switches typical of the Touareg. They now look as though they have been milled from a solid block of metal. All buttons and switches now illuminated in white (instead of red as before) gives the interior ambience an additionally refined feel. The range of interior colours and styles of leather has been extended, while two new decorative wood trims have been designed to match these colours and styles: ‘Sapelli Mahogany’ and ‘Engineered Ebony’. 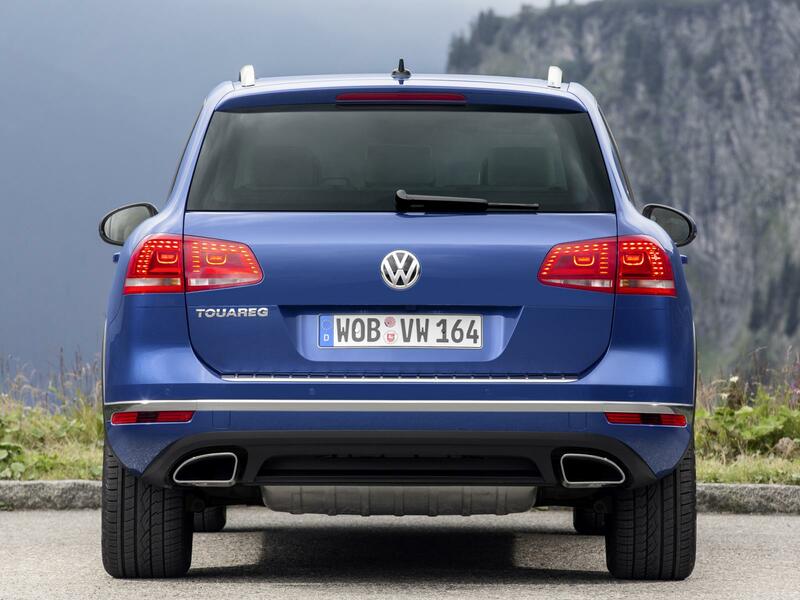 EU6 emissions standard for V6 TDI with coasting function. 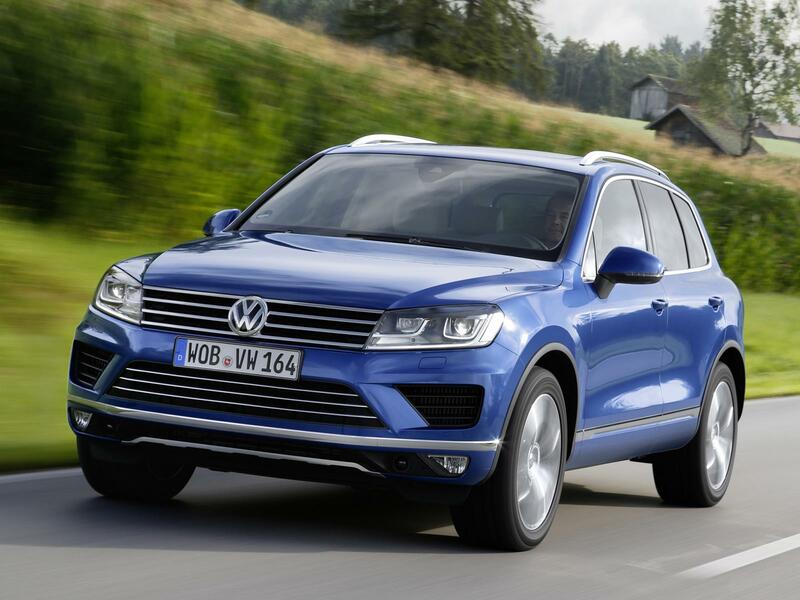 In terms of technical enhancements, particular focus has been placed on the V6 TDI engines, as in Europe over 90 per cent of all Touareg sales are of models with one of the two V6 TDI engine capacities on offer. Both six-cylinder engines have been modified and upgraded by adding an SCR catalytic converter. Using ‘selective catalytic reduction’, the amount of nitrogen oxides in the exhaust fumes is significantly reduced. 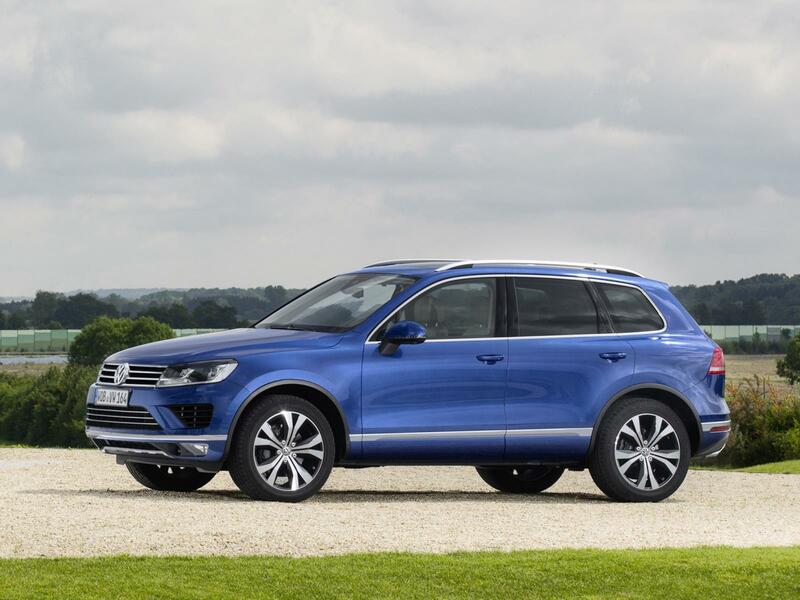 Thanks to the SCR catalytic converter the ‘Touareg 4MOTION V6 TDI BlueMotion Technology’, as it is called in full, meets the demanding EU6 emissions standard. 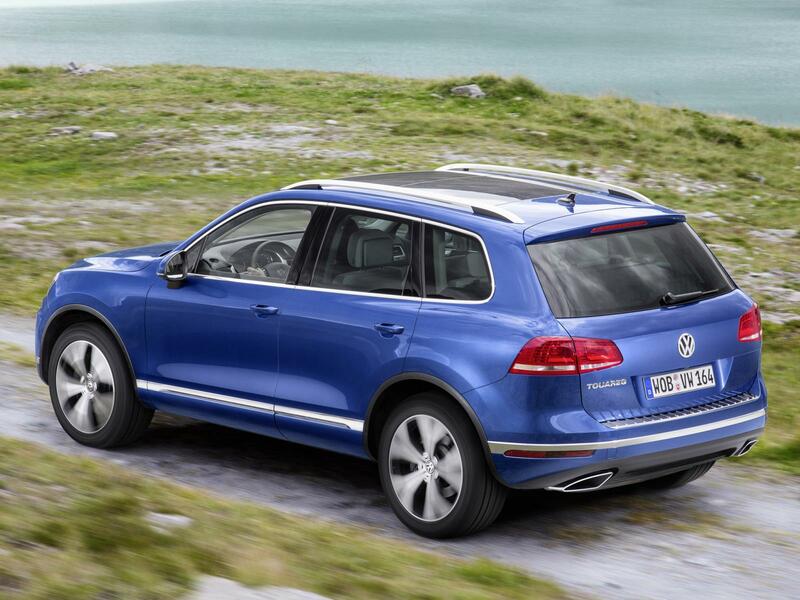 Also new on the V6 TDI: a coasting function. 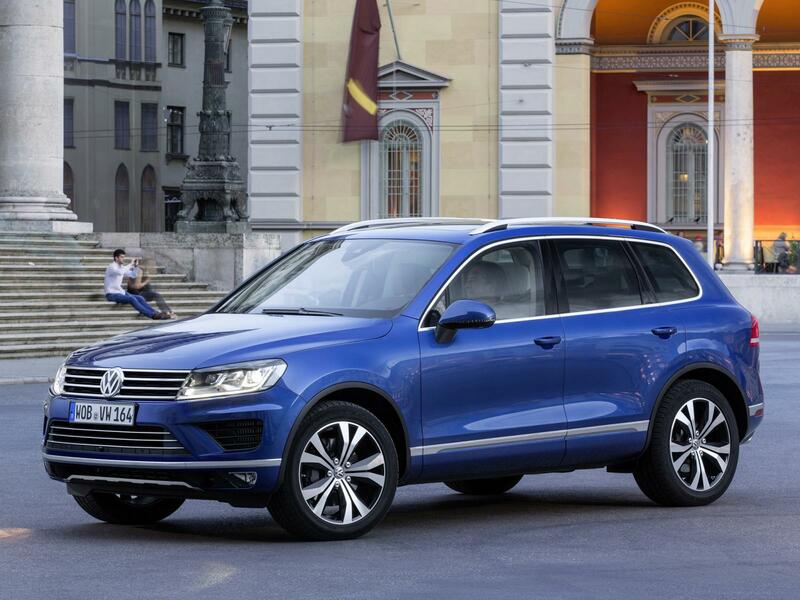 While the vehicle is coasting, the standard 8-speed automatic transmission is disengaged in order to utilise the kinetic energy during periods where no acceleration is required and thus to reduce fuel consumption still further. 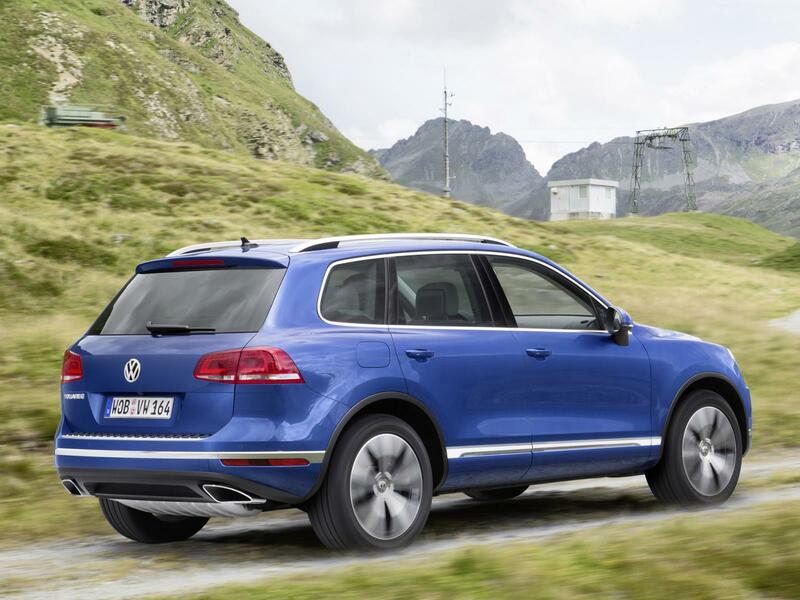 Aerodynamic refinements to the vehicle body and underbody, plus the introduction of new tyres optimised for low roll resistance, also have a fuel-saving effect: consumption on the 150-kW version (204 PS)1 has been reduced from 7.0 to 6.6 litres of diesel per 100 km; this equates to a reduction in CO2 from 184 g/km to 173 g/km. 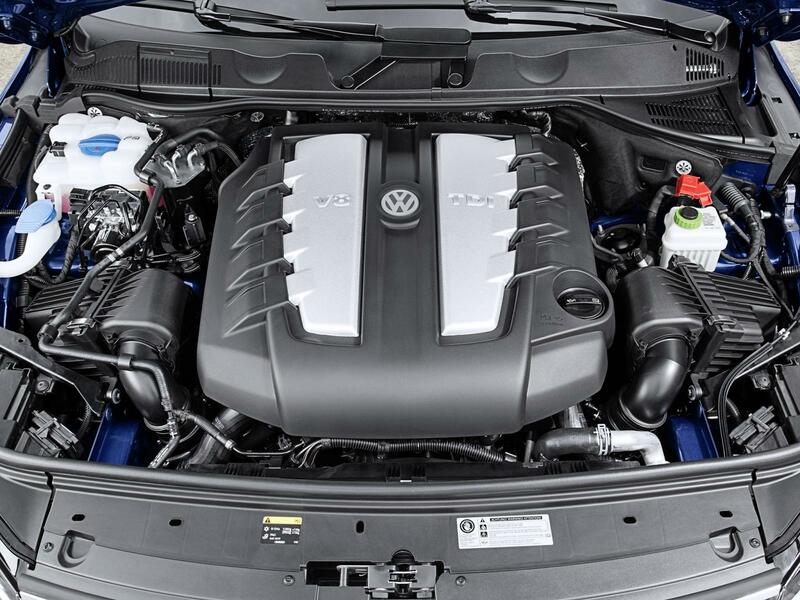 The advances are even clearer in the case of the larger of the two V6 TDI engines, the power output of which has been increased from 180 kW (245 PS) to 193 kW (262 PS)2: despite this added power, its consumption falls from 7.2 to likewise 6.6 l/100 km (equating to 174 g/km of CO2). 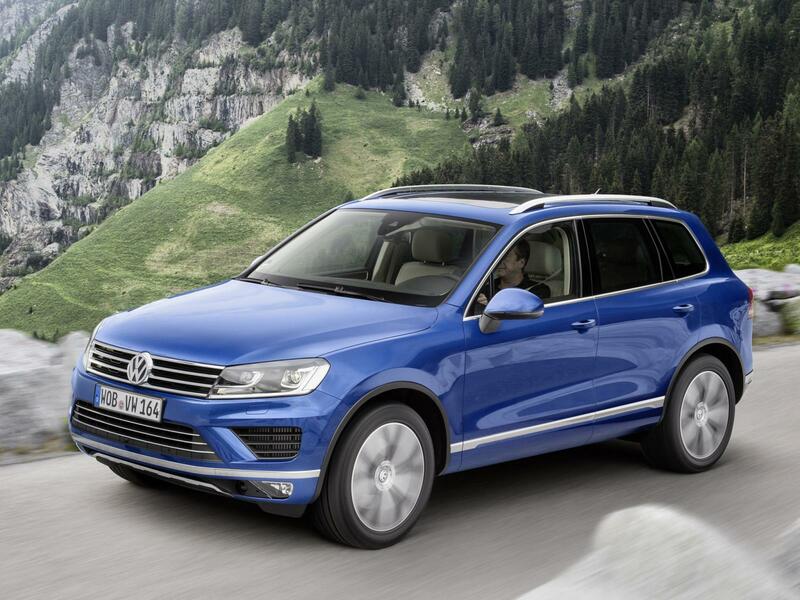 In the case of the ‘Terrain Tech’ version3 – the Touareg with special off-road applications and a four-wheel drive system with low range set of gear ratios, designed among things for particularly demanding off-road conditions – there is an improvement from 7.3 to 6.9 l/100 km. Updated suspension and new assistance systems. The standard steel-spring suspension has been optimised, with improvements including even more agile steering and extra comfort. 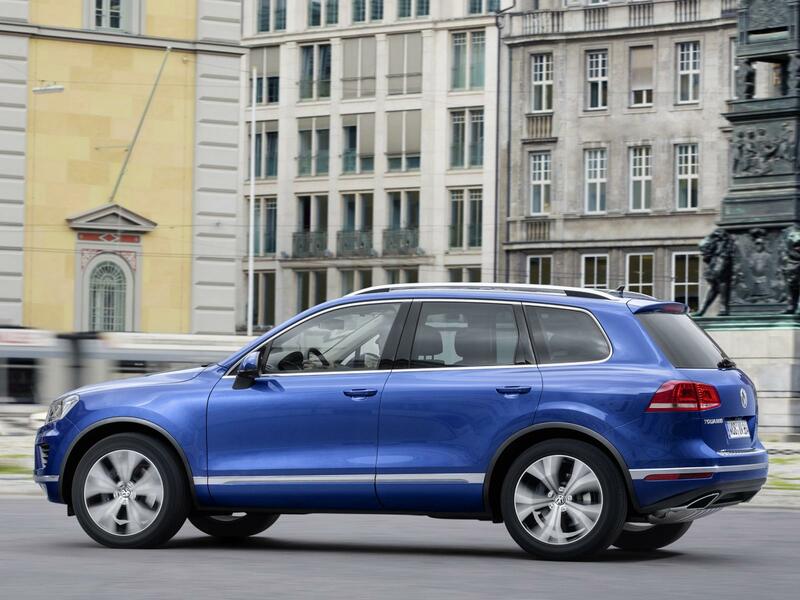 Available again as an option for the Touareg is an air suspension system, with which ground clearance can be increased to as much as 300 mm on off-road terrain. 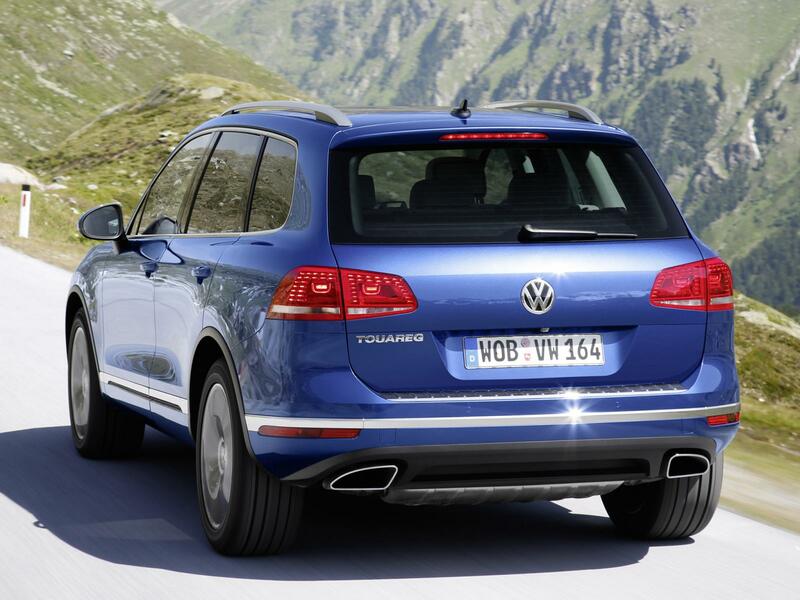 Meanwhile, at higher speeds (140 km/h and above) the air suspension automatically lowers the vehicle’s body. Infotainment with new online services. 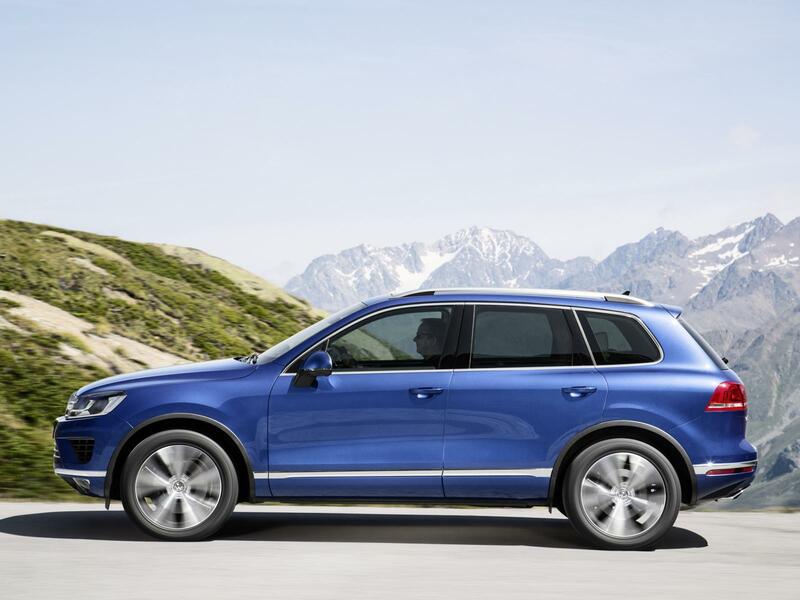 In combination with the RNS 850 radio/navigation system and mobile phone preparation, the Touareg will for the first time be available with mobile online services. These will include a ‘Point-of-Interest (POI) Search’ via Google, map display provided by the ‘Google Earth™ mapping service’, the ‘Google Street View™’ function and ‘Online Traffic Information’. Launch from autumn 2014. 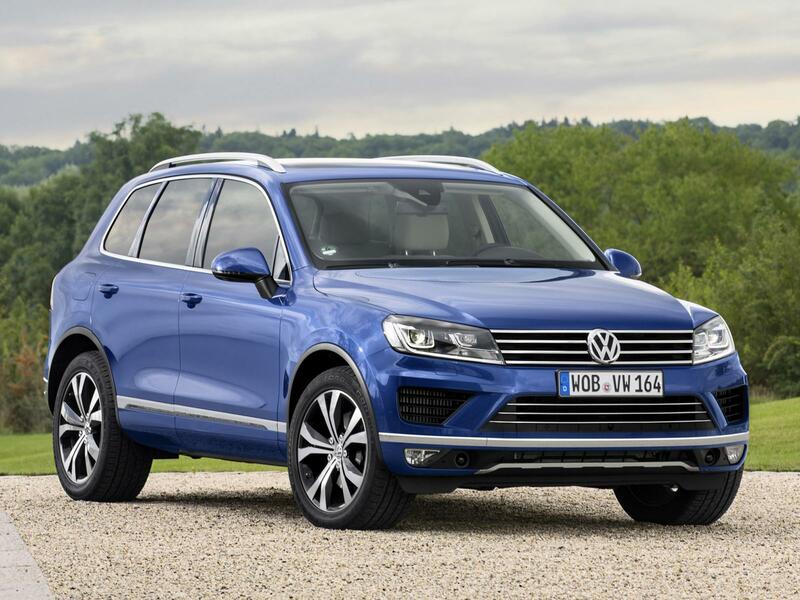 The new Touareg is initially being launched in Western Europe this autumn as diesel (V6 TDI and V8 TDI) and hybrid (V6 TSI plus electric motor) models. Orders are already being taken in Germany. Launches subsequently follow in Russia (end of 2014) and North America and Asia (early 2015). 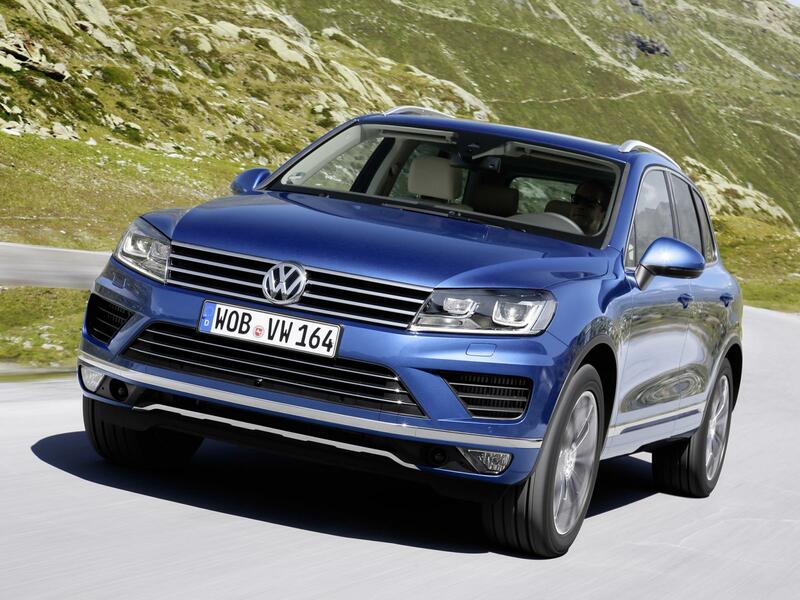 In those markets, Volkswagen will also be offering the Touareg once again with V6 and V8 petrol engines, as it has traditionally done.